The Miseducation of Lauryn Hill is one of my favorite hip hop albums of all time and probably on the top 20 of most critics. In that album, Lauryn Hill declared everything she was about, and the purpose of her music. Expressing herself. Lauren, sometimes known as Elle to her friends has been our own resident hip hop diva. It's also poignant because like Lauryn Hill, there were so many things she felt mis-educated about. 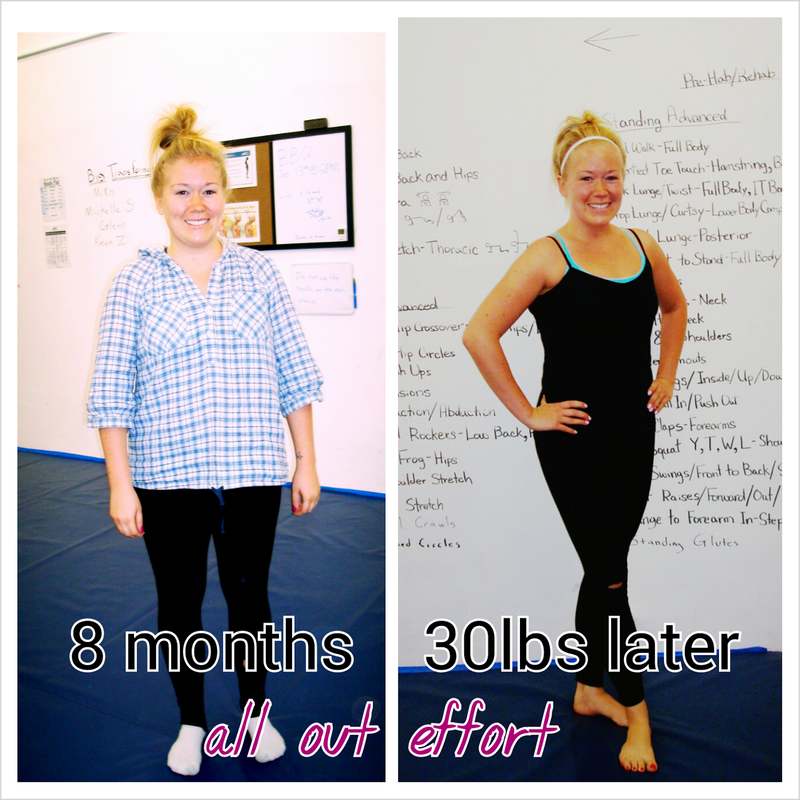 She had tried so many diets, work outs, and taken advice from everyone. It never seemed to work, she was lost and confused and had lost her swagger along the way. Lauren in typical Lauren fashion, was cool and gracious enough to share her experiences and her process to inspire other people who may feel like she does, and I also suspect partially it may be a reminder to herself of where she came from and why she shouldn't stop. "I love that your approach is from a mental point of view because that has always been my biggest challenge when it comes to losing weight and getting in shape...I am an emotional eater so for me the most important part is getting in the right mindset otherwise I will bounce back and forth like I have so many times in the past." 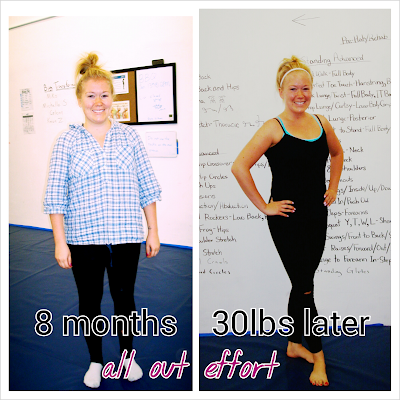 In mid January of 2013, she came in for her consultation, nervous, confused, wasn't sure if weight loss was possible, she's lost weight and gained it back, and she was an emotional eater. So I told her what to expect, outlined what our program was about, did some preliminary tests, and told her go to home and take a few days and really consider if this is what she really wants, needs, and can adhere to. I told her this wasn't going to work if she just came at it with a "let me try it out" attitude. If that's your attitude, why would you adhere to anything we talk about? And if you don't adhere, how in the world will anything work? You'll have to take a leap of faith like anyone else who's accomplished amazing things in their life. I am so ready and determined to start making changes and moving forward in my life and I feel that working with you guys will be so beneficial for me in many ways. Thank you for showing me an entire different way of approaching working out and overall health, I hope to hear from you soon!" She came back for our second day of testing and screening. The second day is important because after all of our movement tests and assessments, we ask one last time if this is what you really want. This is 100% voluntary, because no one will force you to train or stay committed. She said she was ready, then I told her she had to declare something. The purpose of this training, why it's important, why she should never give up on this and keep going and inspire everyone around her. Days, months, years from now, she won't care what she wanted (like losing a certain number of pounds), what she will care about is WHY she wanted it. Much like Lauryn Hill, our own hip hop diva needed to declare something to make her mark. 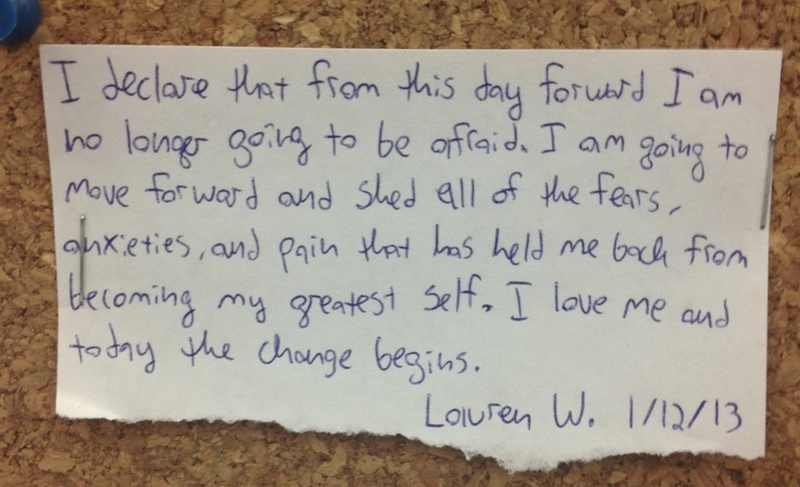 "I declare that from this day forward I am no longer going to be afraid. I am going to move forward and shed all of the fears, anxieties, and pain that has held me back from becoming my greatest self. I love me and today the change begins." 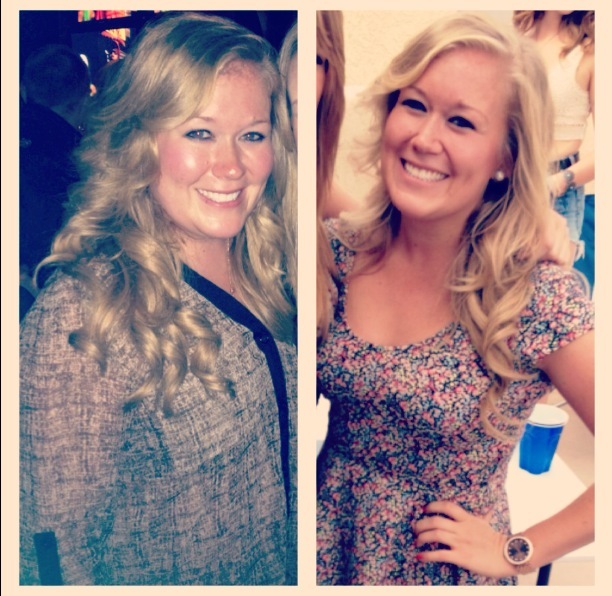 Our goal was to get her to move better, make better eating habits, manage stress, and get her strong. She was a bit shy at first but slowly we saw her break out of her shell, getting her "swagger" back. I told her during our consultation that, people will naturally sacrifice happiness for comfort. I think she took this to heart. She has grown so much in a short period of time and as a coach I have to confess something here. I probably was kind of hard on Lauren. I wasn't mean and I didn't torture her with insane work outs, but as a coach, I was stern when she wanted soft. She needed people in her life to be soft, that's what she was comfortable with. She probably already had so many people already doing that with her. She equated softness with kindness. Part of this training is about growth in character. I wanted to show her that just because someone wasn't soft with her, doesn't mean they weren't out for her best interest. And just because someone was soft and told her everything she wanted to hear, didn't also necessarily mean they had her best interest in mind. And after a while she met my stern looks with smiles and sunshine. That things don't have to be comfortable, and that's okay because you are a survivor. I guess I softened up too. But only a bit! She wasn't in the career she wanted to be in, her life wasn't where she wanted it to be, and now she is moving to another state to begin a journey and a new chapter in her life. Breaking out of her comfort zone and developing as a better version of herself. She wants to be happy, and she now has the strength to make the bold moves to get there. We will miss her and hope she looks back on this to stay focused and inspire those around her. "I honestly don't even know where to begin when it comes to talking about Sam, Cindy, Michelle and the entire All Out Effort community. 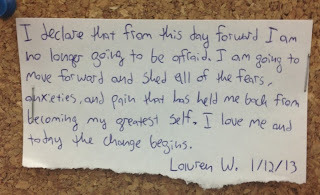 I lived in a constant state of anxiety that I would never be the woman that I wanted to be. An emotional eater by nature, what makes weight loss different for me is that it's a mental obstacle, an emotional attachment to food. It is not simply an issue of changing my diet or getting off the couch and working out, I needed to change the way I thought and approached fitness and my well-being. In the past I have tried fad diets, working out with trainers at the mainstream gyms, doing it on my own, and setting goals but not following through with them. I kept trying and failing over and over again because I never grasped the mental part of health and fitness, the most important part in my opinion. This is one of the many, many things that set Sam and his team apart from the rest of the trainers out there. Sam’s philosophy revolves around having the correct mental philosophy and approach to fitness. No matter if your goal is to lose weight, gain strength, or simply get in shape, Sam and his team work wholeheartedly and diligently to create a plan that is designed specifically for you. It is truly a personal experience, you are not just a number at All Out Effort. Sam, Cindy, and Michelle are not just trainers they are coaches pushing you each step of the way. Through working with them I have gained more confidence than I have ever had in my life or ever believed that I would have. They have showed me that I CAN do it and have never let me give up on myself even though there were definitely days that I wanted to. I have lost 30 pounds and a high percentage of body fat in the eight months that I have been a member at All Out Effort. Although the numbers are wonderul, nothing can compare to how I feel now compared to when I first started. I have confidence, strength, and pride in my body and myself. To feel this way is truly priceless and I could not have gotten here without All Out Effort. If you are ready to take a leap in your life and get on the path to becoming the person you want to be I highly recommend becoming part of the All Out Effort community. It's a decision that you will not regret."